The top financial regulators in 25 states and U.S. territories are joining together to pressure Congress to pass legislation allowing marijuana businesses to store their profits in banks. “It is incumbent on Congress to resolve the conflict between state cannabis programs and federal statutes that effectively create unnecessary risk for banks seeking to operate in this space. The looming threat of civil actions, forfeiture of assets, reputational risk, and criminal penalties is not conducive to a legal, regulated marketplace,” the officials wrote to House and Senate Democratic and Republican leaders in a letter on Monday. Although a growing number of states are moving to legalize cannabis for recreational or medical use, continuing federal prohibition leaves many banks reluctant to work with marijuana businesses, forcing growers, processors and retailers to largely operate on a cash-only basis—which can make them targets for robberies. 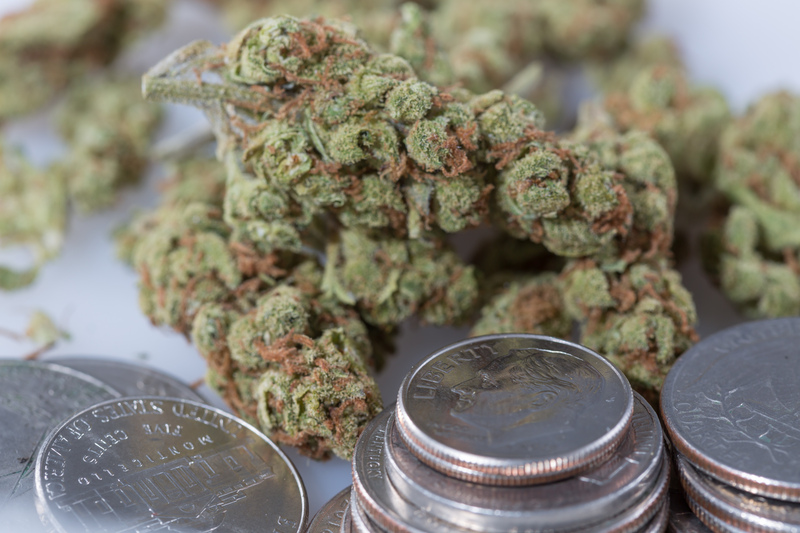 In March, the House Financial Services Committee approved a bill to shield banks from being punished by federal regulators for providing financial services to marijuana businesses operating in accordance with state laws. Advocates expect the legislation, which cleared the panel in a bipartisan vote of 45-15, to be considered on the floor within the next several weeks. Last week, more than a fifth of the U.S. Senate filed identical cannabis banking legislation, though it has not yet been scheduled for a hearing or a vote. The new letter from state officials was led by Pennsylvania Secretary of Banking and Securities Robin L. Wiessmann and is co-signed by regulators from states such as Alaska, Colorado, Georgia, Massachusetts, New York, Oklahoma and Utah, among others. Wiessmann led a group of 13 state financial regulators in sending a similar letter to Congress last year. Trump administration officials have indicated they’d like Congress to resolve the issue sooner rather than later. In a separate hearing he pledged to have his staff review the pending cannabis banking legislation and provide a possible endorsement within two weeks. Earlier this month, three Federal Reserve Bank presidents called on Congress to solve the issue. In February, Federal Reserve Chairman Jerome Powell said during a Senate hearing that it “would be great to have clarity” on cannabis banking.